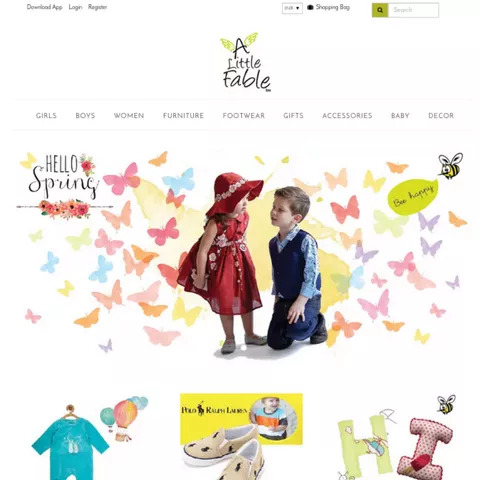 A Little Fable is a marketplace dealing in assorted mix of children's garments, footwear, home furnishings, gifts and accessories. The aim is to create a catalogue that has colorful themes and hand picked stuff that enthrall the kids and make them enjoy it with gay abandon thus creating beautiful memories and stories. A Little Fable is also aiming to bring real life stores and online selling together. Not only they sell via their stores and app but they also have their chain of stores in Delhi NCR where customers can visit and choose the products that have the potential to weave a story. Allow multiple vendors to register and sell their products online. Easy management of the complex requirements of multi vendor marketplace . Scalable portal that allows to add wide variety of products and vendors. 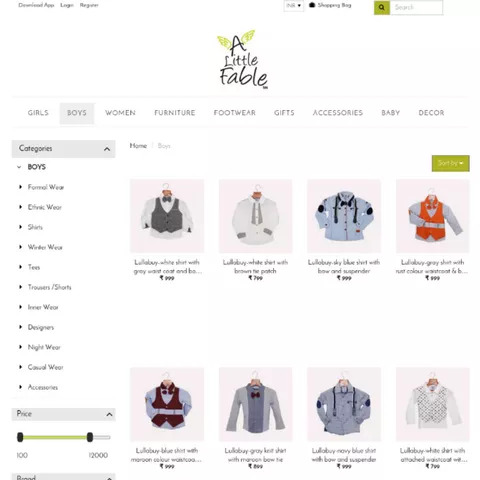 StoreHippo, ecommerce platform created a vertical marketplace for A Little fable which enabled them to register their presence in the online market along with the offline market. Online presence made theme reach out to more customers and hence sell more. Due to feature rich StoreHippo platforms most of their requirements were met easily. StoreHippo’s multi vendor model which facilitates vertical as well as horizontal ecommerce marketplaces provided the portal with comprehensive features to carry out the complex marketplace set up. Got a niche vertical marketplace as per their requirement. Easy management of vendors and vendor commission calculations. Comprehensive multi vendor features to handle the complex needs of the setup. Ability to target a specific segment of customers and convert them easily. Mobile app to tap in the mobile channel traffic. Got powered by a flexible platform that accommodates new requirements easily. Scalable platform that accommodates business growth. 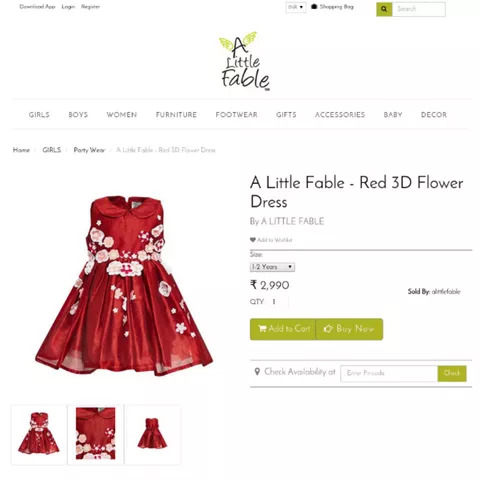 "A little fable (http://www.alittlefable.com/): This is a Niche Vertical multi-seller marketplace dealing in curated mix of children's garments, footwear, home furnishings, gifts and accessories." "A Little Fable is a destination for people wanting a curated mix of children's garments, footwear, home furnishings, gifts and accessories. Here every product tells a story—from flying fairies to forestland fun, from trundling turtles to balancing ballerinas." " At A Little Fable, we’re committed to offer a mix of products carefully handpicked and meticulously designed in colorful themes that can help us achieve our mission of creating giggles, laughs, somersaults and stories one after the other…." "ALF now has an app, a beautiful website in addition to 3 retail outlets in the Delhi/ NCR region (Galleria, Gurgaon. DLF Place Saket and Nirvana Country) and looking to expand into several other cities across India and Internationally."